This outdoorsy girl needed a bridal shower to fit her aesthetic and this invite did the trick! A little bit of rustic, outdoorsy-ness mixed with a bit of bridal elegance. 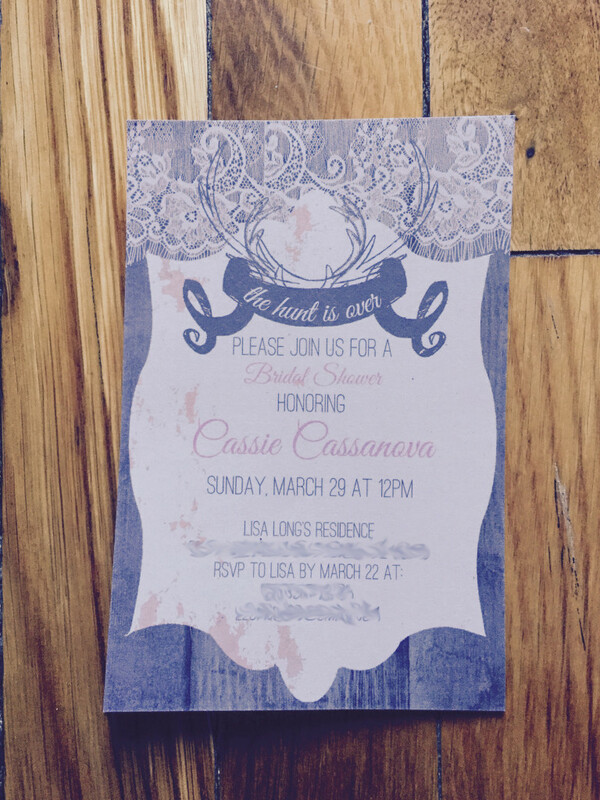 Check out Cassandra’s bridal invitation below!